The gold price came under pressure again on Tuesday falling to an eight-week low as safe haven demand following the French election dries up and rising yields in the US pull investors out of the gold market. In brisk dealings on the Comex market in New York gold for delivery in June was exchanging hands for $1,214.90 an ounce, the lowest since March 15 and down more 4.3% so far in May. 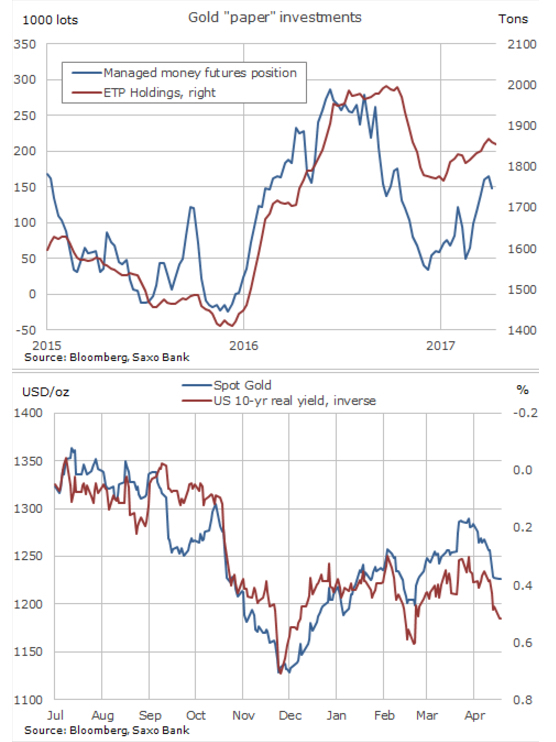 In a research note Ole Hansen, Head of Commodity Strategy at Saxo Bank, points out this chart which shows how gold is once again declining with the approach of a Fed interest rate hike. Gold and bond yields have a strong inverse correlation as the metal provides no income and investors have to rely on price appreciation for returns. In December 2015, gold lost 2% during the month leading up to the hike, only to rally by 2.6% the following month. The before-and-after reaction to December 2016 was a drop of 5% (Trump's election win playing its part) followed by a 3.4% rally. 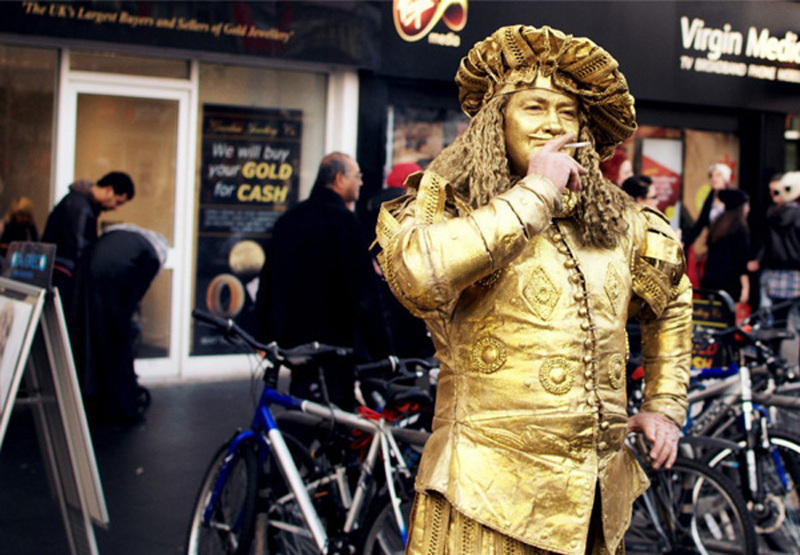 The spike in the gold price after the Fed's mid-March rate hike was even more dramatic. Gold dipped just below $1,200 ahead of the FOMC announcement only to reach its 2017 highs just shy of $1,300 by April 17. 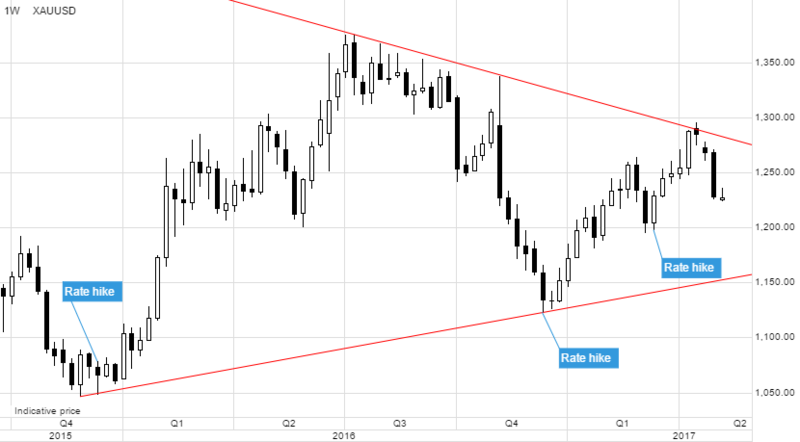 Gold rallied strongly during Q1 and raised geopolitical risks during the early weeks of April helped propel it back to resistance just below $1,300/oz. Most of the losses seen following Donald Trump winning the Presidency and the pre-FOMC rate hike jitters were recovered. However, the failure to break the downtrend from 2011, currently at $1,282/oz on the weekly chart below, attracted profit-taking and as political risks in Europe faded, the selling accelerated last week. These real money investors tend to be anything from small retail to the likes of Soros and Paulson. They are less price-sensitive than leveraged funds and tend to have a longer investment horizon. Total holdings, which account for about two-thirds of the billions of dollars invested in precious metals, have remained flat during the past week while hedge funds reduced futures bets.